Freccia® is a very well-known brand appreciated all over the world, thanks to our 90-year-old experience in the production of engine components, both for the Original Equipment Market and the Aftermarket. 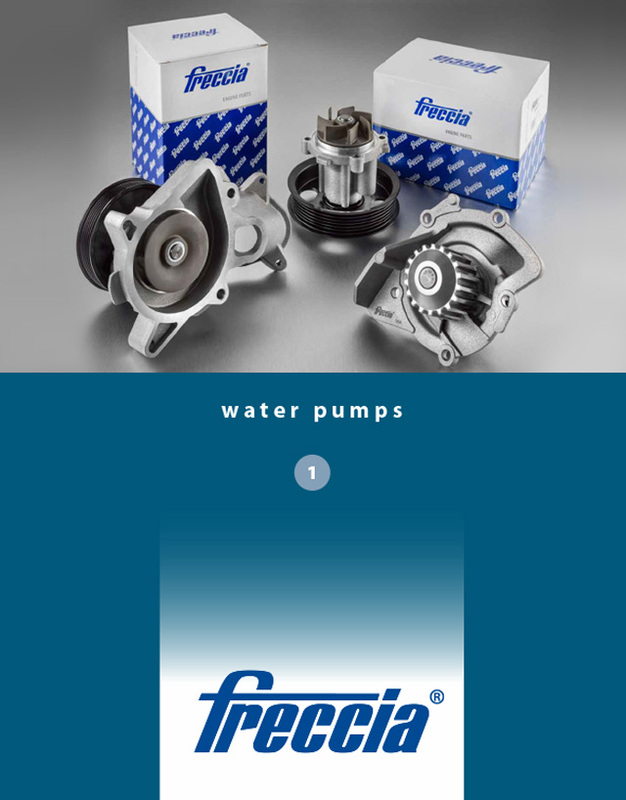 We are pleased to announce our new Water Pumps Catalogue which covers the main European, Japanese and American brand concerning passenger cars and commercial vehicles. The quality of our products is guaranteed by the Certification of our quality systems according to the standard ISO 9001 and, as per all Freccia products, we apply the specific warranty policy for the aftermarket. Our excellent logistic and sales team will quickly meet your requirements worldwide.